Many of the conclusions in Endure will jive with what you’ve often heard about running performance and endurance: smiling can make you run faster; high-intensity training workouts can, when done in moderation, increase your endurance; the type of fuel you eat before, during, and after an effort can greatly impact performance. But that’s not to suggest that Hutchinson’s book is boring—quite the opposite, in fact. 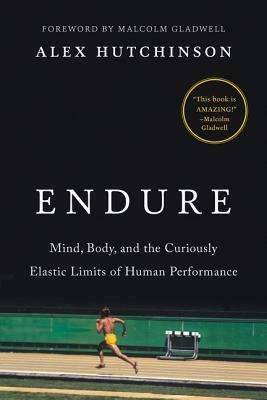 By striking the perfect balance between anecdote and research, Endure offers runners—or, indeed, any endurance athlete—insights into the physics and physiology of high-stress physical activity, be it sprinting a 5k for a new PR or pushing the limits of endurance at a multi-day ultramarathon event. So what are you waiting for? Endure is available at the Curious Iguana in downtown Frederick, or wherever books are sold. Get yours today, and start thinking about how endurance will play a role in your 2018 race plans. 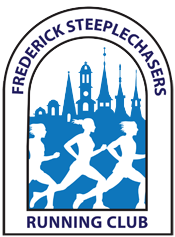 Note: The Curious Iguana will give 20% off this title if you mention “Steeplechasers” at checkout.